Liberate yourself from the constant need to shave and wax unwanted facial and body hair in order to feel and look your best. With laser hair removal, just a few simple treatments is all it takes to permanently minimize hair growth, revealing clear, silky skin that’s ready to bare every day—and all year long. Unlike shaving that lasts days, waxing that needs to be repeated every few weeks indefinitely, or electrolysis that’s tedious, permanent laser hair reduction is a lasting solution that takes away the everyday hassle of dealing with unwanted facial and body hair. The secret lies in the laser technology that targets and destroys hair cells responsible for hair growth without harming surrounding skin. It’s a simple approach to permanent hair reduction that’s fast, easy and FDA-cleared. Best of all, treatment sessions take just minutes and are practically pain-free. It’s the permanent hair removal solution you’ve been waiting for. Dr. Sean Simon Plastic Surgery has chosen the Cynosure® Vectus™ Laser for your permanent hair reduction treatment. 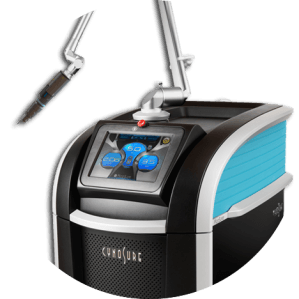 Cynosure produces the most advanced cosmetic lasers and pulsed light systems to dramatically improve the appearance of skin. Permanent laser hair reduction can remove hair from faces (except around eyes), backs, chests, arms, underarms, bikini lines and legs. 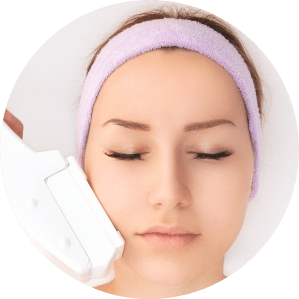 Permanent laser hair reduction is available for all skin types, including very light and very dark skin, and most hair colors. Laser energy is used to target and destroy hair follicles responsible for hair growth without harming surrounding tissue, so there’s minimal risk. Q:How long does it take? Permanent hair reduction treatments take just minutes for small areas and about a half hour for larger areas. Q:How many treatments will I need? Laser hair removal technology can only affect hair in active phases of growth, so several treatments are needed to affect all your unwanted hair. You do not need to let hair grow out between treatment Sessions. Q:What will treatment feel like? Most people feel only a slight, momentary “snap” at the treatment site during the procedure. Q:How quickly will I recover? Q:Are there any side effects? Typically, most people experience a mild, sunburn-like sensation, possibly accompanied by some minor swelling, immediately following the treatment. This usually lasts two to 24 hours. Ask Dr. Sean Simon to discuss other possible side effects and the necessary post treatment care with you.